ODOT photo Five new tow plows incorporate a special trailer that is pulled behind the plow truck to help clear two full lanes of roadway at the same time. Oregon travelers can expect to see changes in winter maintenance activities this year that include the use of new tow plows and double-wing snow plows, plus rock salt on interstate freeways and some secondary highways in eastern Oregon. The use of salt also will be expanded on a section of I-5 in the southwestern part of the state. Motorists are reminded to drive according to the conditions of the road and stay several car lengths behind winter maintenance equipment. Remember that the road in front of the plow is going to be in worse condition, so stay back until operators pull over to let you pass. Because snow plows can have plow blades deployed on both right and left sides of the truck, pass with care and never pass a plow on the right. ODOT also recommends washing vehicles after driving on wintry roadways to remove ice and possible deicer or salt residue. Five new tow plows incorporate a special trailer that is pulled behind the plow truck to help clear two full lanes of roadway at the same time. ODOT crews will run the new equipment on about 200 mi. of Interstate 84 between Boardman and the Idaho border; on Interstate 82 south of Umatilla; and on some secondary highway sections. The tow plows consist of a special trailer with a 26-ft. retractable plow blade and turning wheels that can swing the unit into the travel lane on the right side of the truck. Combined with the truck's 12-ft.-long front plow blade, a single tow plow unit can do the work of two regular plows, improving efficiencies and freeing equipment and operators to work on other highway sections during storm events. The tow plows also have hoppers that can disperse salt or sanding rock as needed. “It's great, it's easy to operate and we can get a lot of work done,” said Craig Romine, Meacham coordinator. With standard single wing plows, it can take two passes of three trucks running in tandem to clear the two-lane freeway and shoulders. Romine said the Meacham crew achieved the same results with one pass of the tow plow followed by a regular plow truck to clear the shoulder. Because the plows are built to service multi-lane routes they will primarily run on interstate freeways. 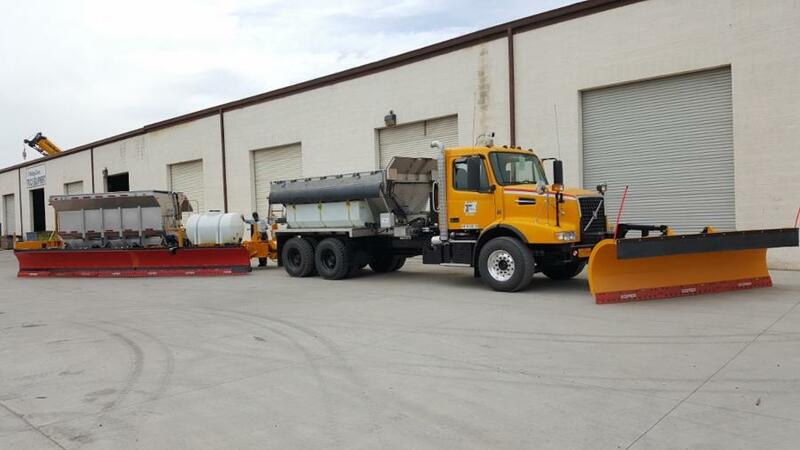 The five recently configured dual-wing plows, along with an additional unit already in service, also will be used primarily along eastern Oregon multi-lane freeways. The retractable 10-ft. plow blades on both sides of the truck, combined with the truck's front plow blade allows the dual-wing plows to clear off two freeway lanes in one pass. This unit's superpower is that it can move snow off to the left side of the roadway. Freeways that have median space and no center concrete barrier are ideal locations for utilizing the dual-wing plow. Areas with high winds and drifting snow, such as Ladd Canyon east of La Grande are other prime spots for this unique equipment. “You can't plow into the wind,” said Ace Clark, district 13 manager. “This equipment will allow us to more efficiently plow snow with the wind, so we don't create bigger drifts. In areas with wider median and no concrete barrier, it allows us to plow to the left and clear almost two lanes,” Clark said. 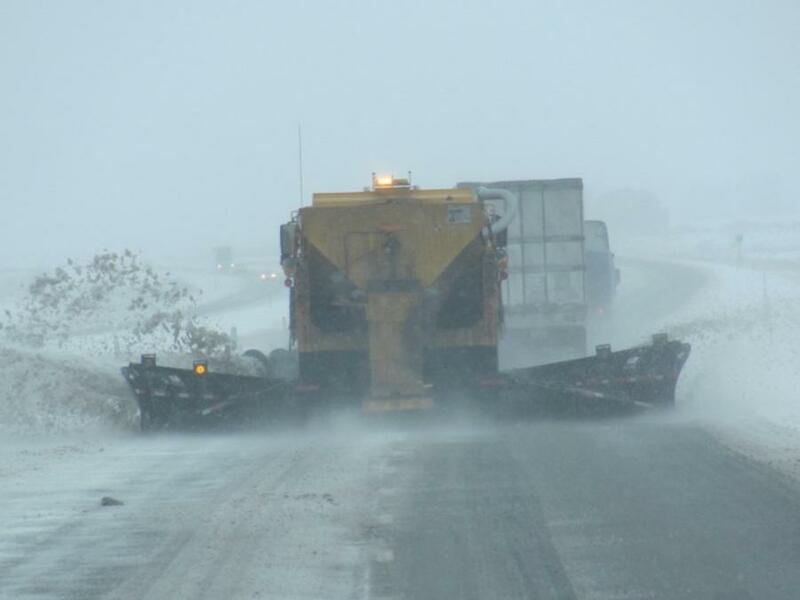 In some high wind locations operators have to angle the front plow blade to the left and not use their right-wing plow because of drifting snow built up on the right side of the roadway. The dualwing plows can drop their left wing and help push the snow and ice off into the center median. “They're a good tool for those kinds of areas,” said Clark. Another tool ODOT maintenance will have this winter is rock salt to help melt snow and ice along eastern Oregon interstate routes. The use of rock salt comes after five years of testing the product on U.S. 95 in southeast Oregon and on a short section of I-5 in southwest Oregon near the California border. The use of salt has been approved for sections of Interstate 84 between the Idaho border and Boardman, I-82, plus some other eastern Oregon routes, as well expanding its use on about 100 mi. of I-5 between from the Siskiyou Pass to just north of Canyonville. In severe weather conditions, salt also may be used on other freeway sections in Oregon, depending on the circumstances. To accommodate the use of salt, several new storage sheds are being constructed that will keep the material dry and contained. Along with improving winter travel safety, monitoring and protecting Oregon waterways, bridges and other transportation structures from the impacts of salt is a key component of the state's winter maintenance strategy. For more information, visit oregon.gov.